It must be hard maintaining some lovely red locks under the sea. With nothing but an old fork (or Dinglehopper) to manage your hair, it's easy for you to have a bad hair day. Just ask Ariel! Even though she's a princess of Atlantica, she still has bad hair days. Of course, if you're trying to capture her look from the classic animated film, The Little Mermaid, then you might need a little help to get the perfect hairstyle. It's a good thing Disney made this cute and handy Adult Ariel Prestige Wig! 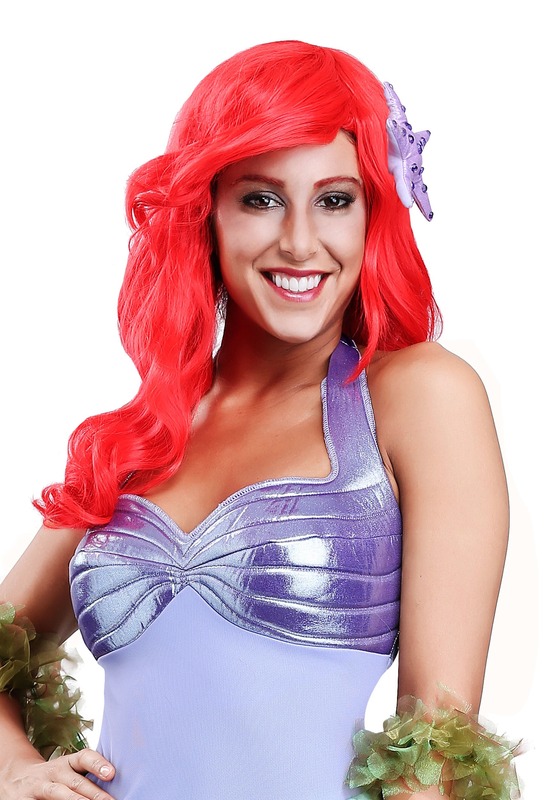 Based on her appearance from the movie, this Prestige wig brings you the bright red color that she had during her adventures under the sea, making it the ideal accessory for any costume based on the character. You won't even need a Dinglehopper to style it, since it comes preshaped. All you need to do is put it on and work on your singing voice, since everyone will be expecting you to do your own rendition of Part of Your World!